Going gluten-free can be quite a big commitment because of the many restrictions you must abide by on a gluten-free diet. But it seems like it’s all the rage these days, with everyone from celebrities to chefs and everybody in-between trying a gluten-free diet. These days, it doesn’t matter if you’re even allergic to gluten or have celiac disease—you still might jump on the gluten-free diet bandwagon. 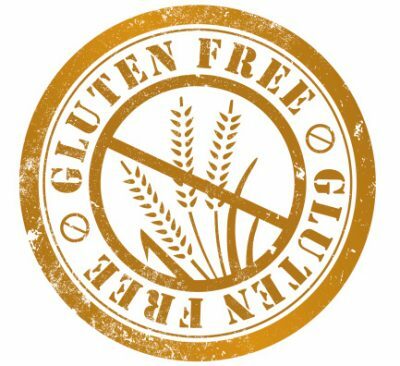 In fact, it’s estimated that 1.6 million Americans follow a gluten-free diet, even though they don’t have celiac disease or gluten allergies, which has helped make the gluten-free industry value increase to $4.20 billion. So what exactly are the reasons to go gluten-free? A recent study found that children with autism spectrum disorder are more likely to have gastrointestinal symptoms, as well—and according to the research, the health benefits of a gluten-free diet can help autistic children with these symptoms. The researchers found that gluten- and casein-derived peptides can trigger the immune response, or might be the cause of the gastrointestinal symptoms to begin with. After following a gluten-free diet, the children in the study improved on their social behaviors and physiological symptoms. Sounds like a good reason to go gluten-free. There are no studies that prove that a gluten-free diet can help you lose weight (sorry). According to Dr. Julie Miller, former president and chair of the board of the American Association of Cereal Chemists, there’s no proof that that eating wheat or gluten causes belly fat, so the health benefits of a gluten-free diet do not include weight loss. In an analysis of 2,834 participants, researchers found that eating whole grains was not associated with an increase in belly fat—in fact, consuming whole grains was associated with a reduction in belly fat. Other studies have also found a link between higher body mass index and the gluten-free diet. If you’re going on a gluten-free diet just to be healthier, that’s not a good enough reason, because a gluten-free diet is often lacking in fiber and other key nutrients. You’ll want to supplement your diet with added fiber and make sure you’re getting enough vitamins C and B, calcium, iron, zinc, and magnesium. Most doctors recommend following a gluten-free diet if you’re reaping the benefits. If you’ve been able to control your gastrointestinal problems or other symptoms when you’re on a gluten-free diet, then it’s probably worth it. But if you’re just looking for a quick diet fix, this isn’t the answer. “Kids With Autism Can Benefit From Gluten and Casein Free Diet,” A Health Blog; http://www.a-health-blog.com/kids-autism-benefit-gluten-casein-free-diet.html, last accessed June 20, 2013. “Most With Celiac Disease Unaware of It; Others Go Gluten-Free Without Diagnosis,” ScienceDaily web site, July 31, 2012; http://www.sciencedaily.com/releases/2012/07/120731094104.htm, last accessed June 20, 2013. “The Truth About Gluten,” WebMD web site; http://www.webmd.com/diet/healthy-kitchen-11/truth-about-gluten?page=2, last accessed June 20, 2013.